The fan girl in me was psyched! A long time fan of Moloko, I missed the opportunity to see Roisin Murphy live 8 years ago. So here we were, almost a decade later, and the talented singer herself was touring again! I made sure not to miss this show and, as expected from the experienced musician, Roisin Murphy did not disappoint! 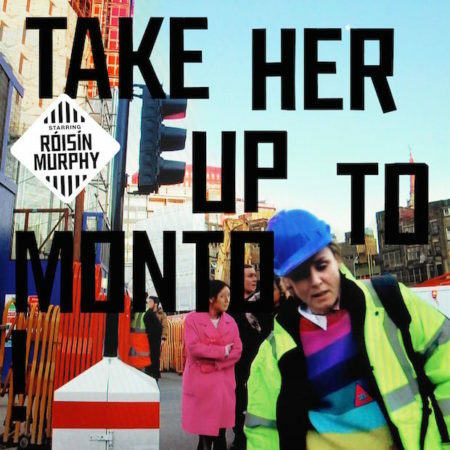 Touring in support of her 2016 album, Take Her up To Monto, UK songstress Roisin Murphy has come and gone, and it was like a living reverie. Her exceptional musical career began in 1993 with Moloko, a captivating band that merged dance, electronica, and jazz to create several catchy, acclaimed releases before disbanding in 2003. In addition to their well-crafted music, lead singer Roisin Murphy’s artsy, quirky, strange, and infectious stage presence, combined with her powerful yet simultaneously genteel vocals, did not go unnoticed. Murphy has since brought her unique style to her solo efforts and, like her fashion sense, has morphed each release into a different sonic landscape, continually forging a unique sound all her own. Murphy’s first album, 2005’s Ruby Blue, was carefully constructed by layering a cacophony of sounds to create an organic, jazz-inspired dance album, whereas her 2007 sophomore release, Overpowered, took on a pop-dance trajectory, dripping in electronica and bursting in great songs. It laid out a welcoming mat in preparation for her subsequent strong albums. Then she didn’t release an LP for eight years. Murphy worked on projects with others and released a few singles before suddenly returning in 2015 with Hairless Toys, which was quickly followed by this year’s Take Her up To Monto. In true Murphy custom, these releases were nothing like her earlier albums. Minimal, delicate, yet still fun and polished, Murphy has unveiled her ability to be transformative. And so it was on the touring for Monto: the rare occurrence of Murphy in North America. On her first solo tour in Canada, the Toronto audience loved every moment; the delighted fans sang nearly every song, and they appeared to be enthralled, utterly delighted in Murphy’s presence. For the two hour show at the Phoenix, Murphy included fan favorites from her Moloko days in between material from her more recent releases. The band opened with the first track on the latest album: “Mastermind” is a great opener, as the lilting keys gave way to Murphy’s off-kilter vocals that transitioned between speaking and singing. Yet just when you thought the evening would be highlighting her new songs, the band leapt into the upbeat Moloko single “Forever More” and fans cheered and sang along. Murphy was a treat for the eyes as well as our ears as she changed headdresses, masks, costumes, and accessories throughout the evening. Another treat for fans was the presence of Eddie Stevens, the keyboardist, producer, and composer who has collaborated with Murphy since the Moloko days. It is his tradition to grace the stage shoeless, and he danced in bare feet as he effortlessly controlled multiple devices. Murphy herself danced, stomped and sashayed about the stage in between singing to the audience and the occasional fondling of her bandmates (everyone laughed at her antics). Making sure she interacted with her fans, Murphy often approached the edge of the stage and reached out to shake hands; one lucky gentleman who stood near center stage was the frequent receiver of her attention as she would lay on the speakers, stretch her arm, and hold his hand while she sang. A photographer’s dream, Murphy’s artful display clearly dazzled the fans. At one point she wore a beautiful, large, white gown and accessorized it with a miner’s helmet that had a flashing strobe light. She switched between multiple head pieces: from a mask with two faces to one with a Pinocchio nose to a crimped, black ball reminiscent to a ‘60s sci-fi helmet to a piece with flowing, red streamers and a red/white bobble at the top of her head. After close inspection you could see it was actually a sideways Ronald McDonald head. And during these many visual phases, she and the band played on, effortlessly. A quintessential Murphy song to perform, “Sing it Back,” was performed before the encores, reworked but still as catchy as the original studio version, and as Murphy sang the words “sing it back to me,” the concert hall erupted into the next line and commenced an organic call-and-answer moment. Though her mic this evening could’ve been better—when she chatted with the audience between songs, she could not be heard too clearly—the crowd did not seem to care. Fans knew all of the songs old and new, with perhaps the exception of closer “Pure Pleasure Seeker” from Moloko’s 2000 album, although select fans were clearly familiar with this high octane track. Now that the two hours of singing and dancing was officially over, the audience cheered and applauded loudly while Murphy again made her way to the front of the stage. This time she walked the entire edge to shake hands one last time, and as she climbed over a speaker to reach the fans at the far right corner, people rushed forward enthusiastically. Murphy took her time, and strongly held as many hands as she could before leaving the stage for the final time. What a strong grip. Do I need a description here? Really? It’s the Pixies folks! The punk-rock quartet was on tour in 2011 to commemorate the 22 yr anniversary of their excellent and timeless album, Doolittle. The Doolittle Tour consisted of the band playing a few B-sides before shelling out the entire album, from start to finish, in perfection. Then they treated the elated Hamilton, ON fans to two encores! It was a great night of music…I’m ready to see Pixies again! And if you do not know the Pixies…shame on you, I say! That’s right, shame! Be sure to see what these “alt-rock Godparents” -as one Canadian newspaper dubbed them- are up to! All images © all rights reserved. After releasing their comprehensive collector’s boxset a year ago, Minotaur, the Pixies began touring heavily. For this “Doolittle Tour” Pixies performed every song, in succession, from their 1989 album Doolittle in addition to a few fan favorites for their audience. Sounding just as intense and fresh as on the day they were released, it is a sobering reminder of how progressive the songs of Doolittle are as Pixies celebrate 22 years since its conception. Before the eager crowd was treated to hearing the sounds of the talented musicians, Pixies played a creative montage of film clips. After several minutes of dramatic music and the sepia tinted film, an impatient fan shouted “Quit teasing us!” Unfortunately her wish was not yet granted as some more time passed before the lights grew completely dark and the Pixies emerged. The audience erupted once Kim Deal, Black Francis, Joey Santiago and David Lovering took their positions behind their instruments. Deal greeted the delighted spectators and happily announced, “we’re going to play some B-sides,” and the night of great music began. The first four songs were greeted with enthusiasm from the crowd, but once Deal struck the first bass riffs to “Debaser,” the most eager of fans cheered even louder and threw their hands in the air. with Francis for nearly every song; and, at each songs end Pixies were drowned in loud applause. “Wave of Mutilation,” “Hey,” “Gouge Away,” “I Bleed” were all favorites with “Monkey Gone To Heaven” drawing the most fanfare of the “Doolittle” selection. Those in the front jumped as soon as the familiar song began and waited with anticipation for Francis to shout “Then God is seven” at the song’s core as they bellowed along with him. With the end of “Gouge Away” the Pixies put down their instruments and each member approached four points of the stage and waved thankfully to the receptive crowd. They then stood together in the center and in conjunction with a film playing on the large screen behind them, lined up in order and took several bows before disappearing. The audience cheered on until Pixies returned. Deal thanked the crowd again for the support and they leapt into the UK Surf version of “Wave of Mutilation.” For “Into The White,” the stage was drowned in white fog as Deal’s voice eerily echoed the lyrics “into the white” at the song’s close. Yet again, they waved goodbye and several audience members began leaving the venue with the majority of the fans applauding and cheering for more. Several minutes went by. I thought to myself, “Well, I’ll stay until the lights come on.” And certainly, the venue lights were turned on and several people turned to leave when suddenly Lovering’s bass drum vibrated through the walls once again. The second encore was beginning. The four songs that Pixies fans seemed to be craving the most were met with great support. To the classic “Where Is My Mind?” the audience sang louder than they ever did as Francis let them sing the last chorus. Just before the end of “Gigantic,” Deal asked the guys to quiet it down and as she calmly played the timeless riff, she again thanked everyone for coming to the show then confessed that she’d be going to bed once done. She turned to each member and asked them their plans. She lastly asked Francis, “Charles, how about you? Going to bed after this?” “I just woke up,” he laughed then the Pixies closed the evening. A fantastic album, Doolittle, was played flawlessly. And as timeless as it may be to listen to the older, influential tunes of Pixies, hopefully the Boston quartet will conjure up a new album in the future. Read Live Review @ Blurt! Interpol is finally back with the latest, self-titled LP and their first show took place in Rochester, NY of all places. Lucky for me, I was there! This was my first time seeing the NYC quartet in action so I was slightly saddened that original bassist, Carlos D, would not be there. Nevertheless, and naturally, Interpol sounded great. New songs were played this night and the fans loved it. But of course, “classic Interpol” reigned as the crowd pleasers. I have loved Brooklyn’s Earl Greyhound for some time but never had the luxury of seeing them live. So Toronto was the closest they were coming to me and I was going to be there no matter what. Then later I learned they were opening for OK GO…sometimes the gods DO love me. Enjoy the pics below, it was really fun to shoot OK GO and the pounds of confetti they unleashed in the air. And of course, Earl Greyhound burned the place DOWN with the loud, old school, RAWK! I’ve wanted to catch the Portland trio live for sometime now. I was uber excited to see that they were stopping near my fair ol city. The live show was great, Hutch, Kathy and Westin put on a great performance and left the audience aching for more…if you don’t know The Thermals you have lead a shamed life…SHAMED I SAY! Check ’em out and their new album Now We Can See.